Focused on understated elements of classic Chinese motifs including an arrangement of traditional cherry blossoms and geometric patterns. 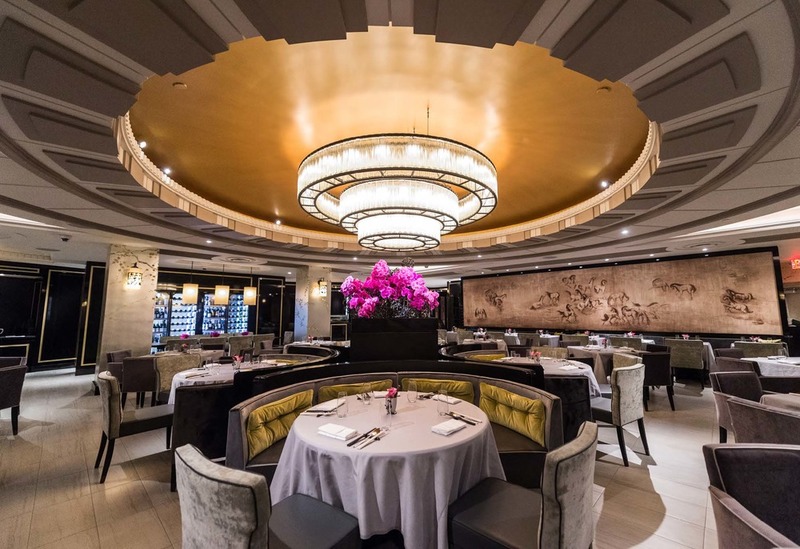 Sleek and elegant, the restaurant features contemporary palettes of black, satin bronze, deep blue and gold accents, offering an opulent contrast to a white travertine floor. Seating flows from a center of round banquettes at the heart of the restaurant under an eye-catching gold dome and three-tiered chandelier. Custom screens separate a semi-private dining area while the main dining room offers views of the bar area and raw bar, designed as a jewelry box displayed along the opposite walls. 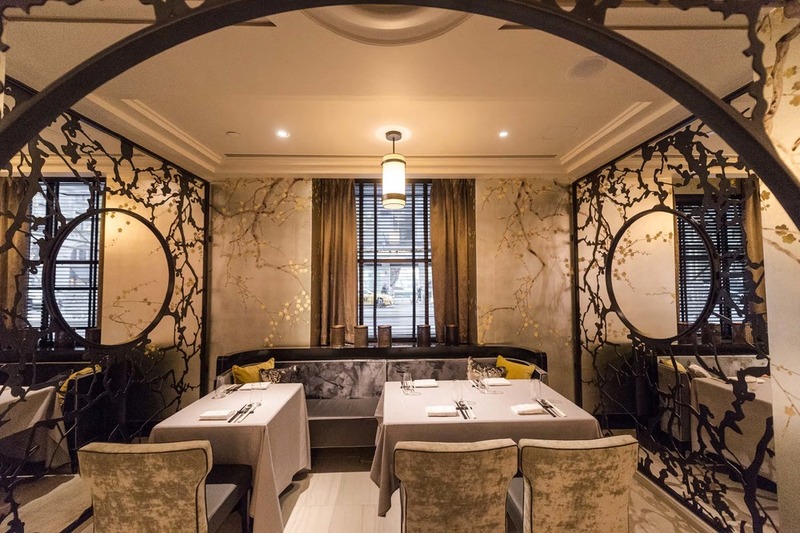 A private lounge and dining room feature opaque wine vaults for an elevated, exclusive setting.